NRC was awarded a remedial action project involving a former manufacturing facility that had been largely vacant for 15 years. 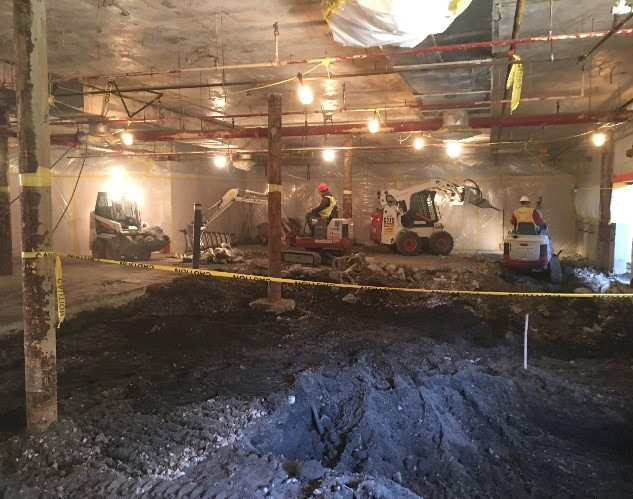 The goal of the project was to remove soils from a total of eight excavation areas; five located inside the building and three located outside the building. 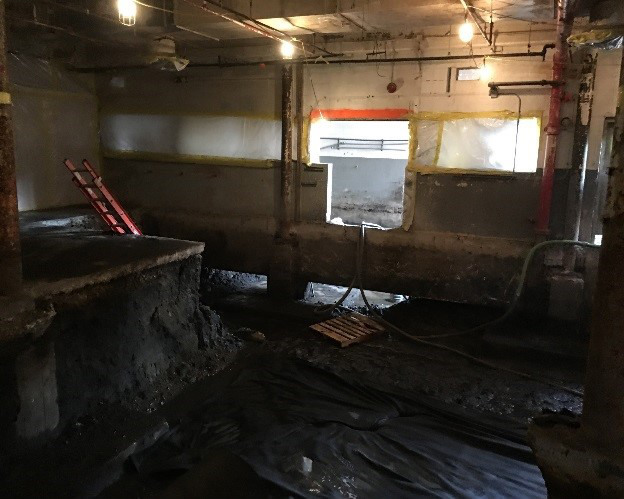 The building’s interior was impacted with friable asbestos and required abatement and hard wall installation to provide a safe work environment for the soil excavation. The interior excavations involved the use of small equipment due to the limited size of the access and egress into the areas, removal of the concrete floor, excavation of the impacted soils, groundwater management and treatment, backfilling and concrete restoration. The interior excavations presented several high risk safety factors that included carbon monoxide in the work area that required venting and real-time air monitoring, volatile organic vapors in the work areas that required the use of air purifying respirators and real time air monitoring, structural issues that required monitoring by a structural engineer. 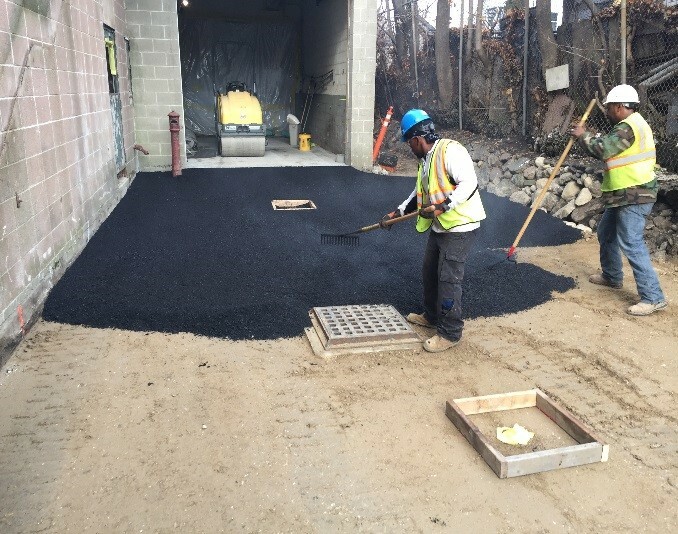 Performance of the exterior excavations involved use of small equipment to access confined areas, removal of the asphalt, and excavation of the impacted soils adjacent to the buildings footers, groundwater management and treatment, backfilling and asphalt restoration. The project was completed on time and within the budget with no safety issues or incidents. Multiple interior excavations in limited space. 5,000+ sf asbestos abatement & cleaning. 5,000+ sf of concrete floor removed & replaced. 4,200+ sf of hard wall containment barrier installed & maintained. 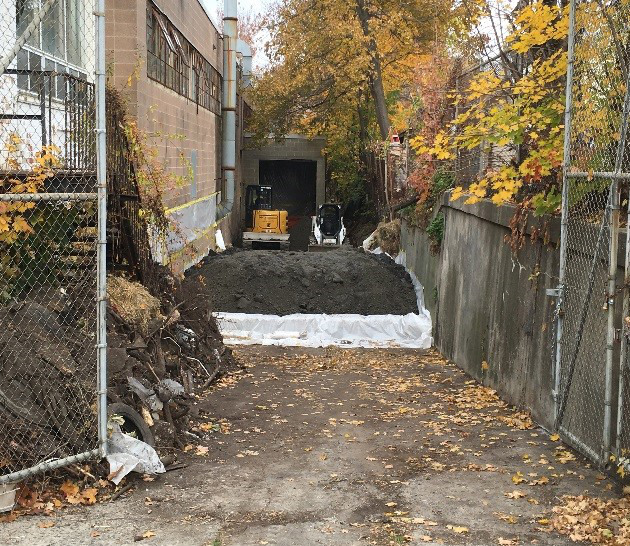 2,000+ tons of impacted soil removed and transported off-site for disposal. 2,000+ tons of backfill imported, placed & compacted. Management, treatment, and discharge of over 100,000 gallons of water. Completed on time, within budget, and without injury.